It is not yet clear who ordered the double car-bomb attack in Tiberias and Haifa on September 5. Yet it is clear that Hamas has the motivation and the intention to perpetrate terrorist attacks that could derail the new track taken by the peace process between Israel and the Palestinian Authority (PA) with the signing of the Sharm al-Sheikh agreement for the implementation of the Wye Protocol. According to this information, this decision has found expression in a series of recent shootings and ambushes in the West Bank and in Israel, the most serious of which occurred on 10 August when Akram Alkam, a 23-year-old Palestinian youth from a Bethlehem refugee camp, rammed his car into a group of Israeli soldiers awaiting to be lifted to their bases, injuring eight soldiers before he was himself shot dead. The suicide-driver didn’t have any “formal” affiliation with Hamas. However, says the newspaper, a strong hint of the movement’s influence was sufficiently clear in his behavior. Hamas eventually did take credit for the operation. Palestinian Times stresses the fact that an ordinary, un-indoctrinated Palestinian like Alkam was willing to carry out “martyrdom operations” with his own meager means, which should be viewed as a striking success for Hamas. “The movement, after all, can now boast of succeeding in transforming 'martyrdom' from a political faction’s monopoly into a popular practice, which makes it all the more difficult for Israel and, for that matter, its subservient puppet entity, Yasser Arafat’s PA, to control future attacks against Zionist targets,” writes PT. The Hamas military wing, Izz al-Din al-Qassam Brigades, did take credit for at least one other attack: the shooting incident in the Old Town of Hebron in early August in which two Jewish settlers were wounded. Three other incidents, including one near the northern West Bank town of Jenin, in which an Israeli immigrant from the former Soviet Union was killed, are also believed to have been carried out by Hamas. A fourth attack was probably aborted when an explosive device went off inside a storehouse in Hebron on 15 August. PA police said two Islamist brothers, who had been released from Israeli jails after serving a five-year jail sentence for belonging to Hamas, were preparing a plastic toy-car bomb attack for detonation at an Israeli settlement site in downtown Hebron. Palestinian Times claims that so far the attacks have been “relatively minor and generally un-qualitative in nature,” but that the message they were intended to convey was sufficiently clear for all parties concerned, particularly Israel and the PA.
Why then the Hamas has been so quiet on the terrorist front for the last year and why is it pleased even by such “minor, low-quality” assaults by untrained “popular” teams or individuals? Hamas leaders, for their part, were very frank in explaining the difficulties encountered by the military wing in its operational activity. Nevertheless, Ghosheh promised that Hamas “will resist through awareness, popular move, and the forces that can go ahead with their jihad, as jihad operations will be the best reply to this conspiracy. We know that many jihad operations have produced significant political results…Our Palestinian people, he said, are very close to Hamas' program. Resistance should take place every day at least with stabs or shooting from machine guns, and this is what the Zionist planners have failed to curb." However, according to the last issue of Palestinian Times, Hamas’ military wing has been undergoing an arduous rebuilding and restructuring process following the killing of a number of its top leaders by Israeli soldiers and undercover agents in the last few years. More important, claims Palestinian Times, is the fact that Hamas has probably come to realize that it no longer has much to lose by renewing attacks on Israeli targets, as the PA continues to intern hundreds of Islamist activists without charge or trial, apparently to appease Israel and the United States and to ward off their tendentious charges that the PA doesn’t combat terrorism effectively. Hamas doesn’t place all the blame for these arrests, and, indeed, for the continued and seemingly open-ended incarceration of its internees in PA custody, solely on the PA. Israel remains the prime and ultimate culprit that forces the PA to act virtually at its beck and call. This, Hamas reasons, makes armed struggle against Israel inevitable even if undesirable. According to the Israeli Haaretz, five Israeli citizens were arrested September the 6th on suspicion of being involved in Sunday's abortive car bomb attacks in Tiberias and Haifa. Positive identifications were made on two of the three terrorists killed in the blasts as being Israeli Arabs. The investigation into the two attacks, as well as the investigation into the murder of two hikers in Megiddo last week, point to a clear connection of the perpetrators to the Islamic Movementin Israel. 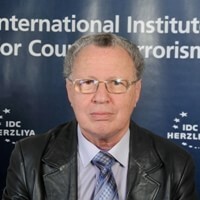 Senior Israeli security sources expressed concern yesterday over the trend of extremism in the movement, and over the connection of some of its activists with Islamic terrorist organizations in the territories, but this is a complex subject which should be dealt in another article. Anyhow, there were other cases in the past when Israeli Arabs were recruited by Islamic terrorist organizations, like Sai’d Suleiman, who smuggled to Israel the PIJ suicide bomber who blew himself near the Dizengoff Center building in Tel-Aviv, in March 1996. There are hints in the Israeli press that Hamas may be behind this operation, in the preparation of the car-bombs and the sending of the drivers to the heart of Israel. It is possible even that the drivers were not aware of the technical details of the bombs, which could mean that they did not intend to make suicide but were themselves victims of their manipulators. * Israeli Arabs have more facility to act freely and assist in terrorist activity on Israeli territory, supplanting thus the failing cadre of the organization in the territories. * The participation of Israeli Arabs in such kind of operation means that the important Arab community, which on the whole has shown during the years moderation and restraint, could be dragged into a conflict with the Jewish population. * The relations with the Palestinian Authority would be eased, as Hamas could not be accused of using its territory for terrorist attacks. The Palestinian Authority and the Jordanian government are well aware of the genuine intensions of the external and internal Hamas leadership, as they clearly result from their numerous open declarations, to make every possible effort to disrupt the peace process. It has been proved over the last three years that only an intense endeavor by all the parties involved in this difficult and long process and a close and sincere cooperation between them, can defuse the radical Islamic organizations’ terrorist schemes and thwart their intension to kill the hope in peace and reconciliation.